Connection With The Customer PC Is Delayed Or Viewer Gets Frozen. How Can I Fix This? b. Security policy on Windows Server causes error in the application. 1. Run RemoteCall agent program. 2. 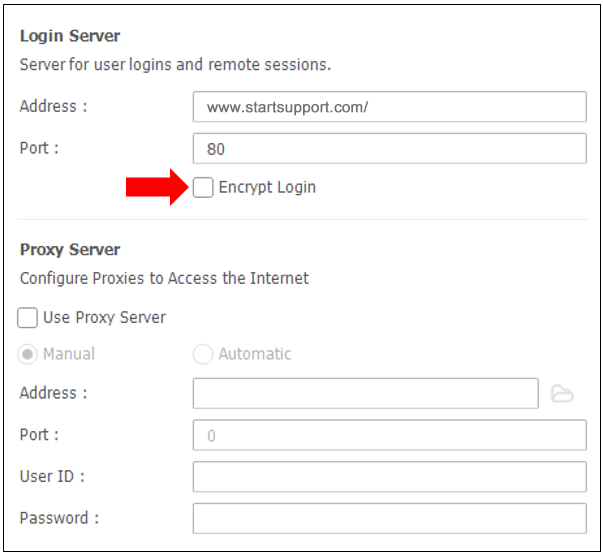 Go to Settings > Network Settings > uncheck “Encrypt Login” box. Customer Cannot Download The Connection File. How Can I Fix This?